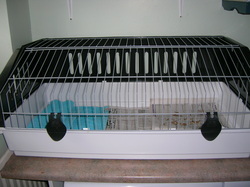 Benson and Hedges came from a lovely family in Athlone. 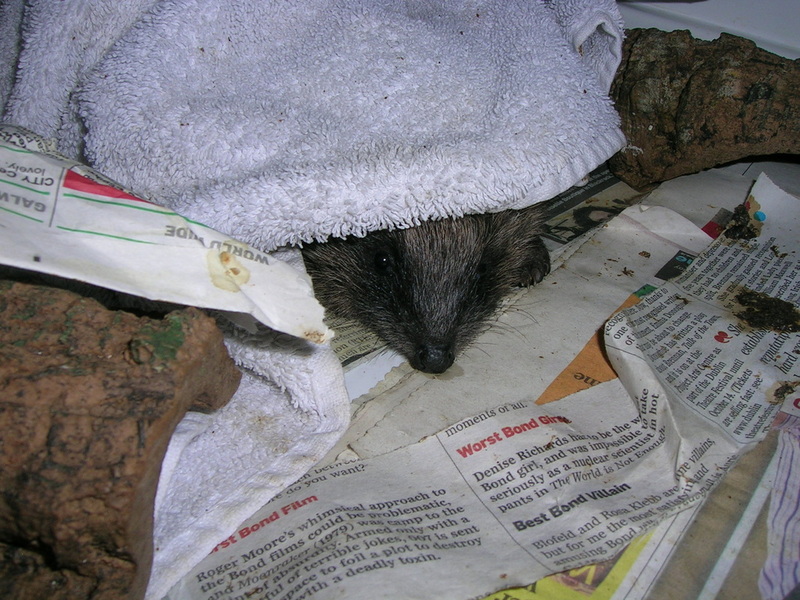 They were remodeling their garden and didn't realise they had disturbed the nest. They did the right thing and left the hoglets over night but Mum never came back. They were both covered in fleas so they were treated straight away, they have now all gone but I still scratch at the thought of them! 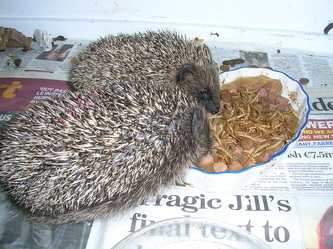 Poor little Hedges wasn't eating or drinking but after a few attempts he got the idea of the syringe and is now happy to feed. 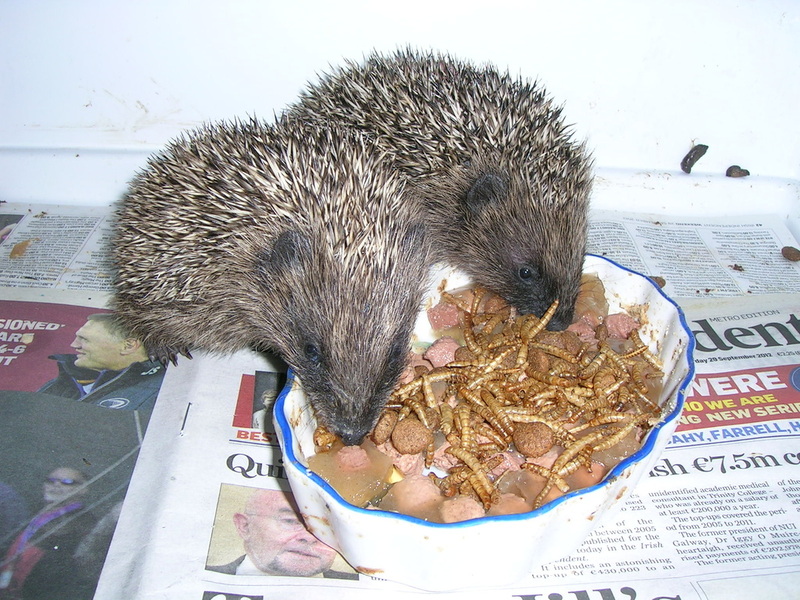 His big sister Benson is already helping herself and loves her grub. 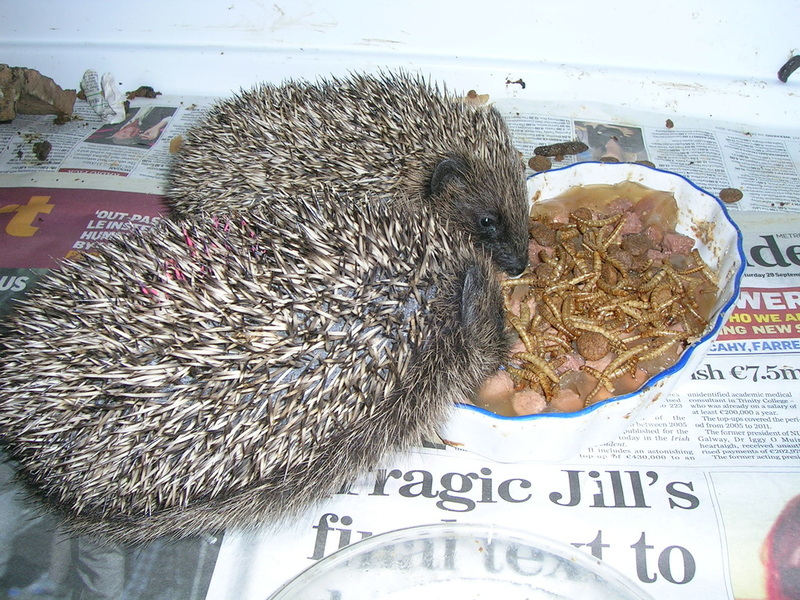 Their weight today 85g and 117g Lets see how they progress. They get a new home to grow into! . 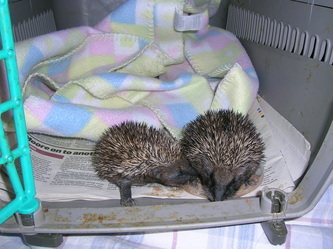 Their weights are now; Benson is 155g and little brother Hedges is now 111g so growing and eating their food. 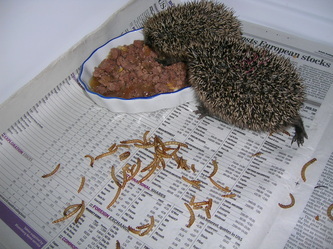 Today was also the first day they ate the meal worms on their own without being mixed in their food. They now have multivits added to their food once per week and Avipro pro biotic once a week as well. 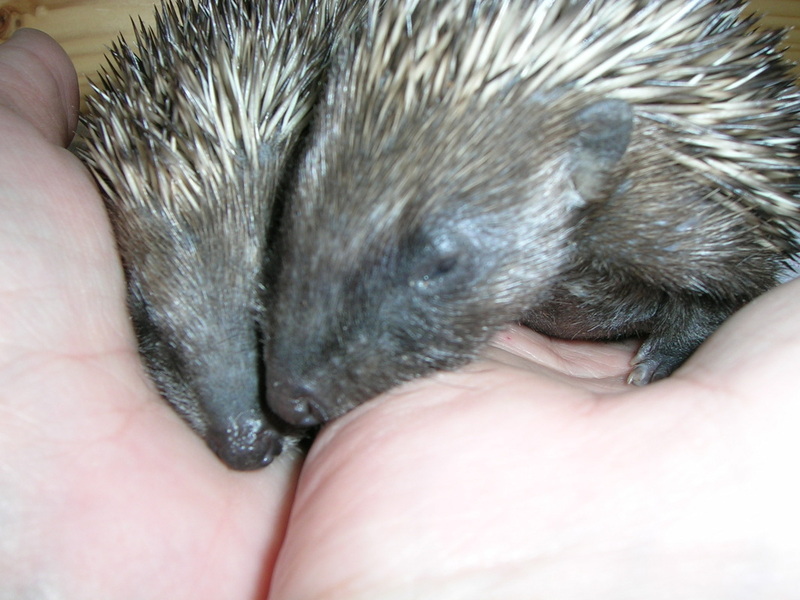 The reddy coloured mark on Benson is nail polish so I could tell them apart when little Hedges catches up with his big sister in size. 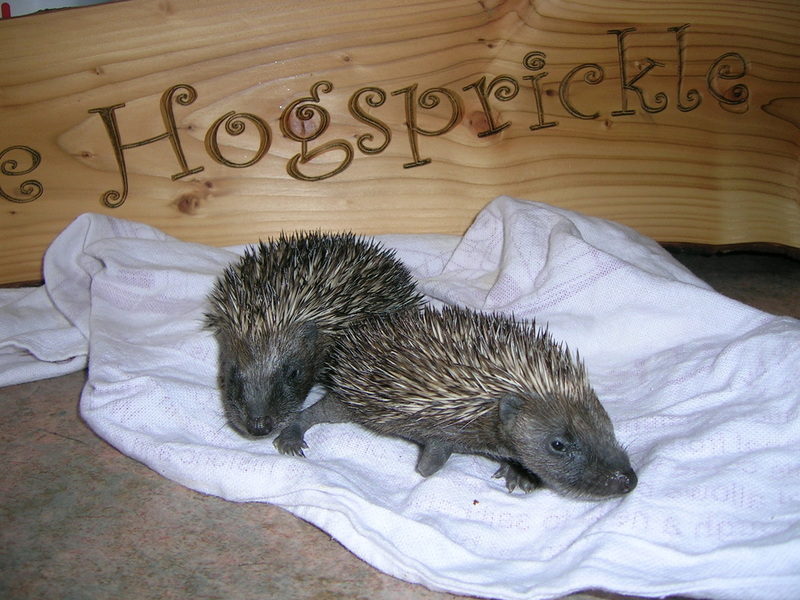 It's really difficult to tell one adult hog from another! 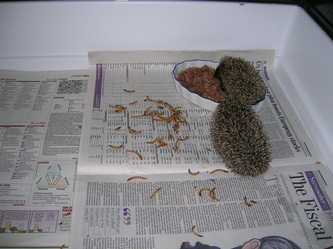 and her little brother Hedges is now 274g. They will soon outgrow their lovely new home! I think we are gonna need a bigger shed! WHAT A NOISE THEY MAKE EATING AND DRINKING! 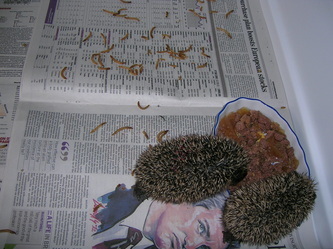 We are happy to report that they have now gone wild! Latest sightings were of the brother and sister snuffling off under the watchful eye of 2 of out Hoglet members. Have a good sleep and we will catch up with you in the Spring.